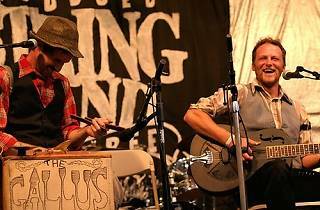 Saddle up for a banjo-filled, good old-fashioned time warp. Ringing in the 11th year of hoedowns, square dances, Appalachian flatfoot dancing—you name it, LA’s Old Time Social is throwing down a three-day nod to the decades best musical jigs. Mosey on over to El Cid (4212 W. Sunset Blvd) Thursday nightto kick off the fiddle fest with grub, drinks, and tunes from Echo Mountain String Band, Squirrel Butter and the High Life Cajun Band. 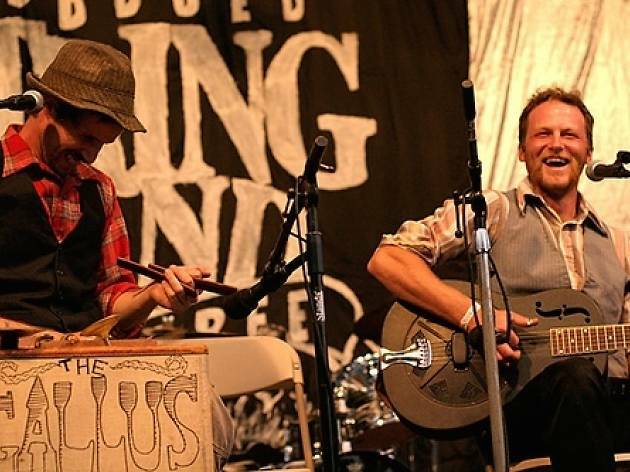 From the dirty south to Cajun country, these folk-style maestros have all the genres covered. But for the grandiose line-up, make your way to Friday’s four-band concert at The Velaslavasay Panorama (112 W 24th St) for hits from Sausage Grinder, Earl White & Adrian Davis, Tom Marion & frank Fairfield and the Canote Brothers. Family-fun dance workshops (harmony singing; how to call a square dance; old-time ukulele; clawhammer banjo; etc.) will take placeSaturday day and end with an epic square dancing showdown at the American Legion Post 206, 227 North Avenue 55.